Designing Social City Experiences — mokryun baik. Designed and published a book. This book introduces the methods and examples of improving the quality of experience for people living in and visiting the city. 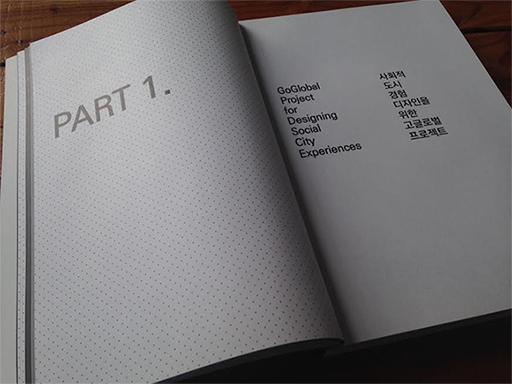 These methods and examples are the results of the project ‘GoGlobal 2012: Seoul Social City Software’ with the students of the RCA and the KAIST. The project focused on suggesting the product, service and system, to provide a social city experience, and came up with 16 design examples using design tools and methods to tackle highly complex and systemized design target. 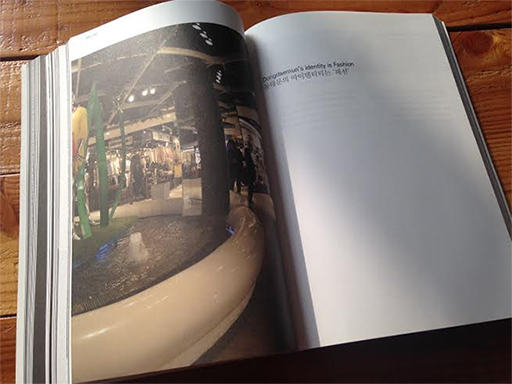 The design focus was on the social user experience in the Dongdaemun area of Seoul.